There is no exact answer. One might define it as financial stability, happiness or an opportunity for intellectual challenge. Others might equate it to their children’s happiness. When it comes to the art world, success may be more difficult to define. The unpredictable nature of the art world means sometimes artists fall short of their goals, are denied artistic freedom or lose exhibition space. Perhaps this is what makes the journey of the artist more interesting to watch. The reality is that most artists will not sell a million records or win a major award. Success in art is more personal than quantifiable. Ultimately, art is just as much about understanding oneself and the surrounding world as it is about storytelling. 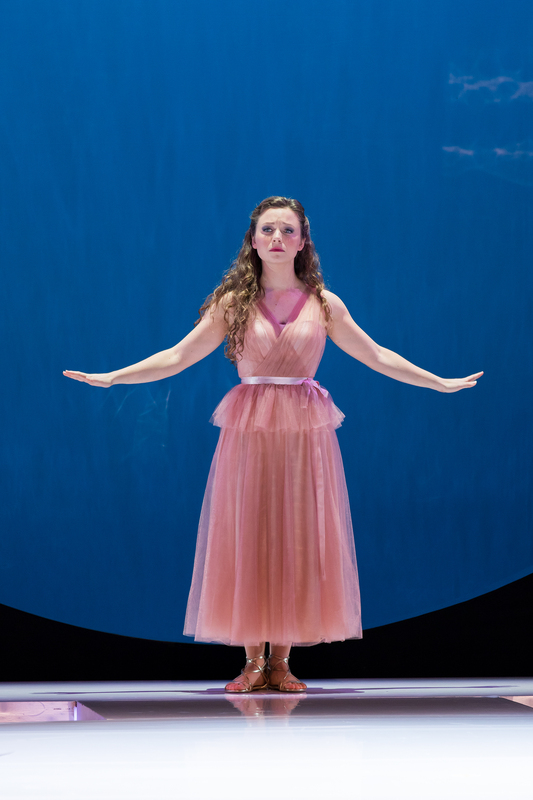 Alumna Madison Leonard sings “Juliette” in “Roméo et Juliette” at Wolf Trap Opera. Photo by Kim Witman. 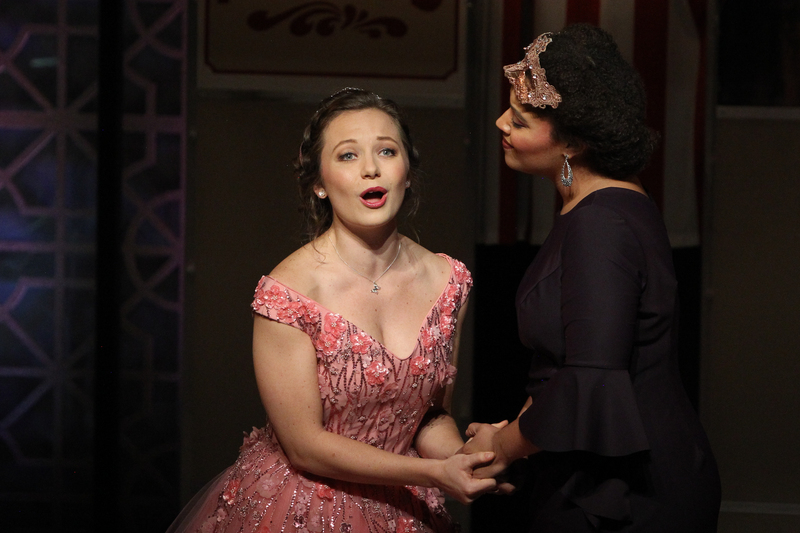 Madison Leonard is a professional singer who recently won the Metropolitan Opera Competition. Her journey began with finding her love for music when she decided to major in vocal performance at Pepperdine. A well-rounded student, she was also involved with the Pepperdine Graphic, participated in the Pepperdine Improv Troupe (PIT), studied in Buenos Aires and attended the Heidelberg summer music program. Leonard graduated in 2014 and went on to pursue a master’s degree in voice and opera from Northwestern University. Afterward, she spent a year auditioning and freelancing all over the country. She received many rejection letters until one day she was offered a place in a young artist program at the Washington National Opera, an apprenticeship program in D.C. for opera singers. 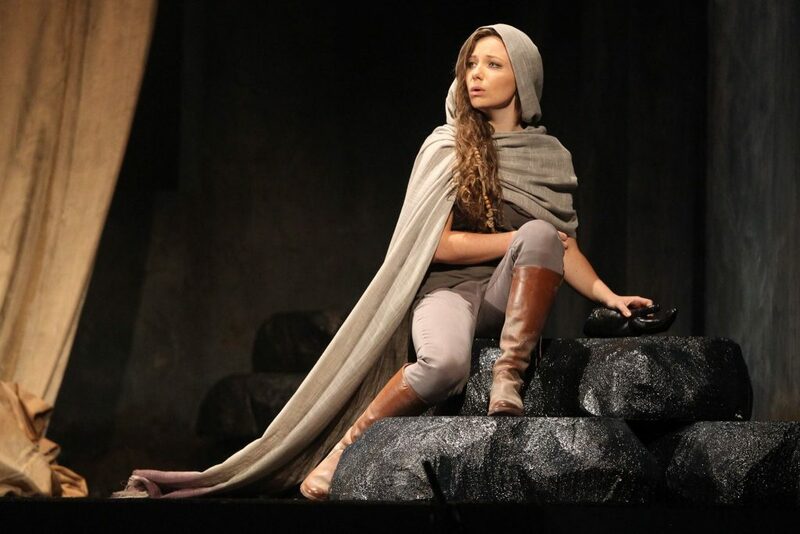 Leonard sings “Morgana in Alcina” at Washington National Opera. Photo by Scott Suchman. Leonard sings “Juliette” in “Roméo et Juliette” at Wolf Trap Opera. Photo by Kim Witman. Today, Leonard is doing professional contracts as she works to support herself as a singer. For Leonard, part of being an artist is having other people critique her craft. “You have to learn what kind of criticism is going to be helpful in growing your art and what criticism is totally unhelpful and can go in one ear and out the other,” Leonard said. She calls her path “more of a squiggle of a journey than a linear line,” and success for Leonard looks like growth and contentment. While the popularity of opera is a concern with the abundance of streaming entertainment options, Leonard challenges people to just see one opera or one show instead of dismissing it as stuffy and boring. “I have to believe there’s something so exciting about live music that people will still be drawn to it,” Leonard said. Ultimately, Leonard views music and art as one and the same. Leonard sings “Ilia” in “Idomeneo” at Wolf Trap Opera. Photo by Kim Witman. Leonard is looking forward to debuting new roles and taking on more music and acting challenges. Currently, she is in Seattle practicing for “Rigoletto,” the Seattle Opera’s summer performance. 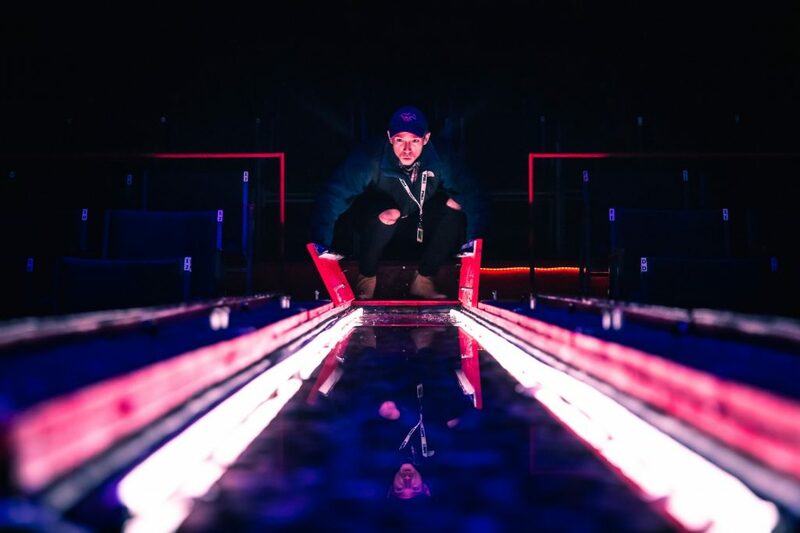 Diggle, as he is professionally known, is a young scenic designer who has taken his talents from his hometown of Puyallup, Washington, all across the country to the Big Apple. A scenic designer is an artist who creates the sets for a theatre production, combining the visions of the playwright and director into an idea on paper or on a computer that is then rendered into a 3D model before the actual construction of the set. Since receiving a bachelor’s degree in theatre arts from Pepperdine in 2013 and a stage design master of fine arts degree from Southern Methodist University (SMU) in Dallas, Diggle has worked with Tony Award-winning designers and directors on many Off-Broadway productions. 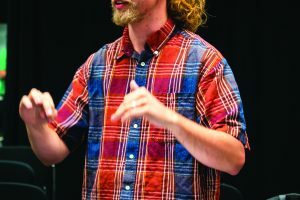 “Pepperdine gave me my voice, [and] SMU definitely gave me those real-world skills that I would actually need in order to do scenic design,” Diggle said. Alumnus Diggle presents a model for one of his five shows at the Drama League’s DirectorFest. Photo by Julie Solomon. In the three short years since he moved to New York City, Diggle has worked with the likes of David Korins (Broadway designer of “Hamilton” and set designer for Lady Gaga), Anna Louizos (Broadway designer of “School of Rock”) and Clint Ramos (Broadway set and costume designer). 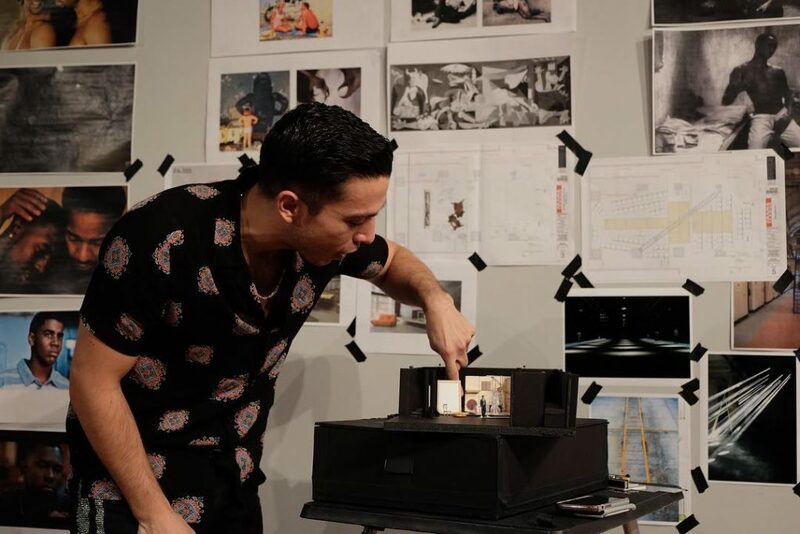 Diggle is currently an associate designer for Ramos — an experience he calls “amazing.” The pair recently closed their ninth show together. Working as an associate for Ramos provides Diggle with valuable experience as he simultaneously works on his own designs, including five shows that he recently completed for the Drama League’s DirectorFest at the New Ohio Theatre in New York City. Diggle cites taking advantage of opportunities and networking as essential in the field. Diggle examines this larger-than-life set for the show “Wild Goose Dreams” at The Public Theater in Lower Manhattan, New York City. Diggle was the associate scenic designer for the show while Clint Ramos was the scenic designer. Photo by Andrew Kluger. 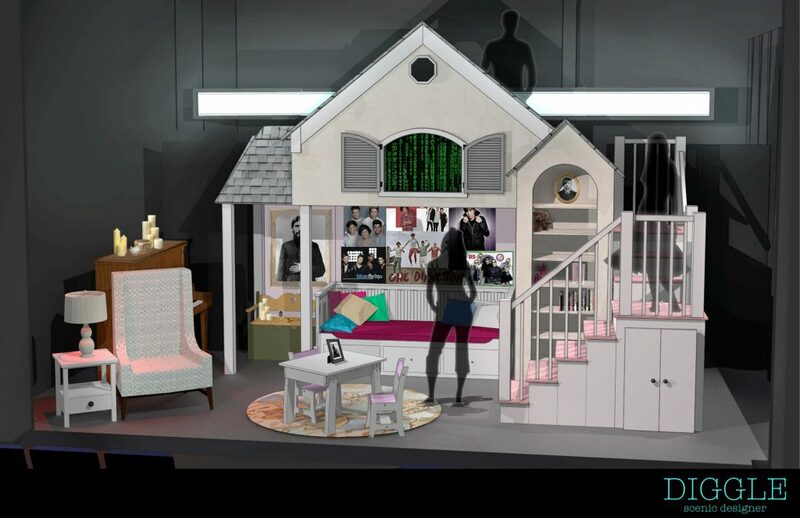 Beyond networking and marketing oneself on social media, scenic design requires a distinct set of skills with computer programs, such as Vectorworks, Photoshop, model-making, rendering and 3D printing. Diggle said the process is what initially sparked his passion. Diggle brought this rendering (top) to life in the show “Red Emma and the Mad Monk” at the The Tank in New York City (bottom). Rendering courtesy of Diggle, second photo by JJ Darling. After initially expressing no interest in theatre, Diggle’s mother forced him to attend the local community theatre in order to bond with his brother, an aspiring actor. Diggle attempted various backstage roles throughout high school before he had a chance to design his first set at the community theatre at 17. From then on, Diggle realized scenic design was what he “had to do for the rest of [his] life” and chose Pepperdine specifically for its theatre program. Now, he works on designs for as many as 10 shows at once in the central hub of the United States’ theatre scene: New York. 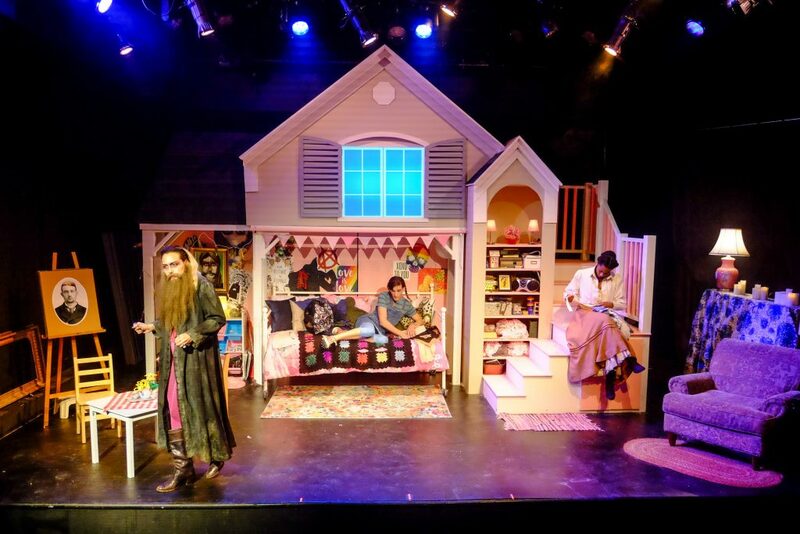 Diggle acknowledges that scenic design is not for the faint of heart, and he advises aspiring artists to recognize whether their craft is their true passion. Brittany O’Grady plays in FOX’s “Star.” Photo by Kaelin Mendez. 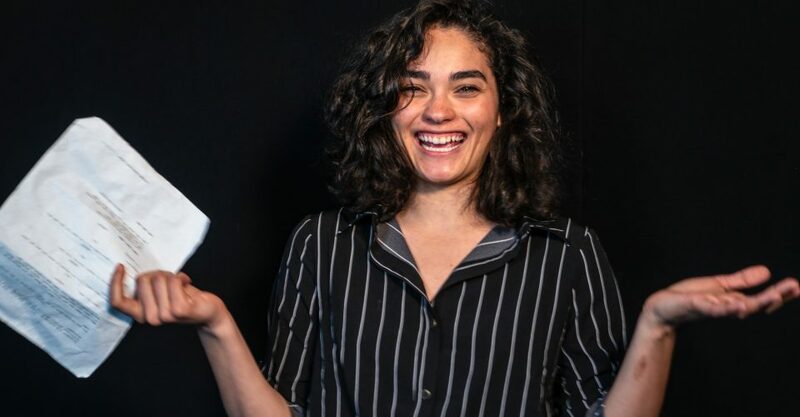 Brittany O’Grady is a rising star in the acting industry, shining on the show “Star” on FOX and previously on “The Messengers” on The CW Network. 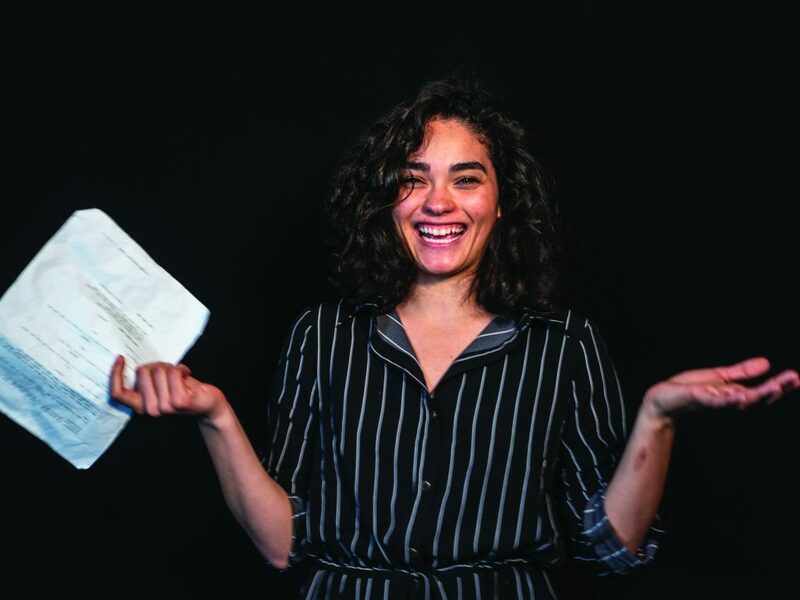 A former live theatre actress, O’Grady attended Pepperdine for three semesters between 2015 and 2016 but only finished two, eventually dropping out to pursue what has already been a highly fruitful career. While growing up in Virginia, O’Grady worked on commercials and ad campaigns in addition to live theatre. She even had the chance to perform a musical version of “A Christmas Carol” at The White House for President George W. Bush and military families. However, she graduated high school early and moved to Los Angeles to pursue film rather than stage performance. The 2000 comedic drama “Malèna” with Monica Bellucci, the 1999 drama “Girl, Interrupted” with Winona Ryder and Angelina Jolie and even the 2012 action film “The Hunger Games” were some of the movies that inspired her change in focus, O’Grady said. After studying abroad in Shanghai and briefly working on Pepperdine theatre‘s production of “South Pacific,” O’Grady was officially cast as Simone Davis on the musical drama series “Star,” which recently completed its third season. Simone, the youngest of the show’s musical group, spends much of the first season in rehab before joining the group in the second season. Despite the steady role that “Star” provides, O’Grady said the auditions never stop. Actors can face criticism, exhausting hours, delayed or cancelled projects, stereotyping and even constant recognition, O’Grady said. However, she loves her work and the opportunities it provides. The film and television industry in the Los Angeles area is often ridiculed as a place where people hide their true colors but O’Grady sees it differently. Shannon Celia, who works in oil painting, was not sure what she was going to do when she graduated from Pepperdine with a journalism major and an art minor. 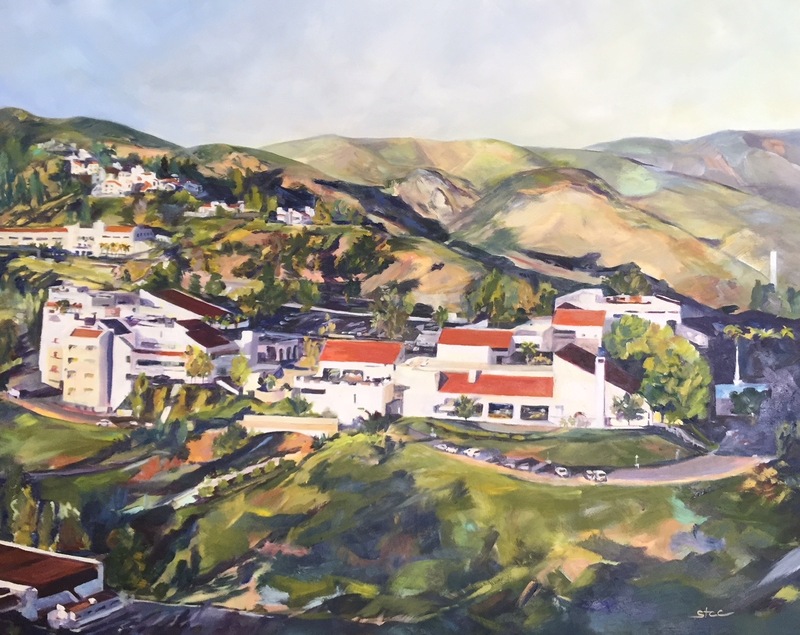 This finished commission in oil of the Pepperdine campus is displayed in the Charles B. Thornton Administrative Center. Photo courtesy of Shannon Celia. Her journey to discover her passion for art took many turns. She grew up in New England and moved to California at 17 by herself on a singing scholarship. She said it was at Pepperdine where she found art. When she graduated — married and eight months pregnant with her daughter — she was around 30. 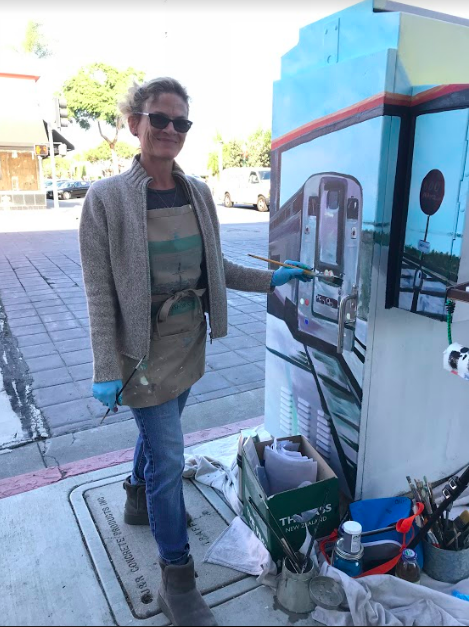 Alumna Celia works on the Utility Box Public Art Project in downtown Oxnard in December 2017. Photo courtesy of Shannon Celia. Celia mainly does watercolor commissions for people’s homes, which she calls “home portraits,” at her studio in Thousand Oaks. She always viewed art as a career. The trickiest part for a self-employed artist, Celia said, is wearing two different hats — creating art but also focusing on marketing, sales and social media. Celia also experiments with artwork outside of her comfort zone. 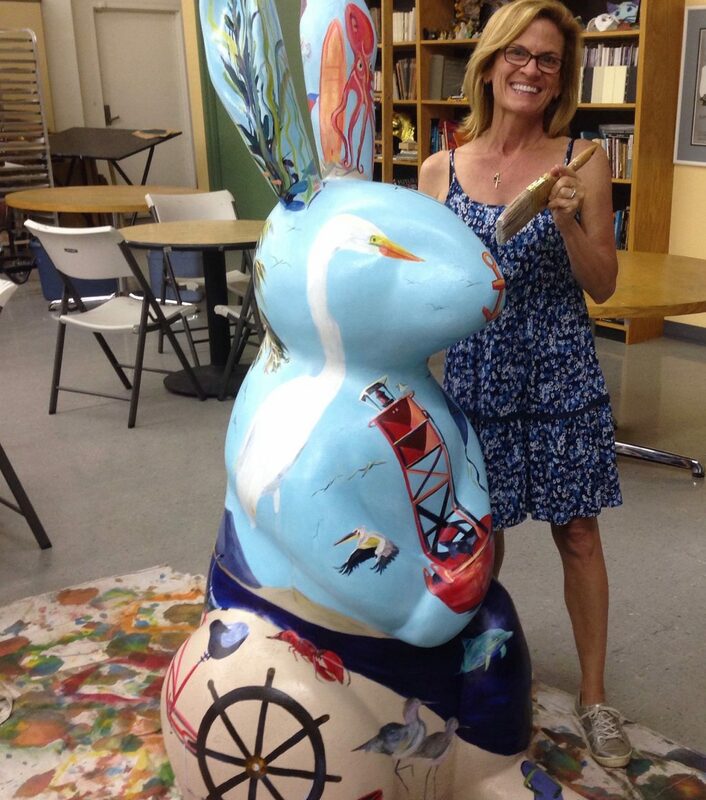 Celia finishes the varnishing on her “COTTONSAIL” rabbit for the Conejo Cottontail Public Art Project. Photo courtesy of Shannon Celia. This year, Celia was awarded her first museum solo show. 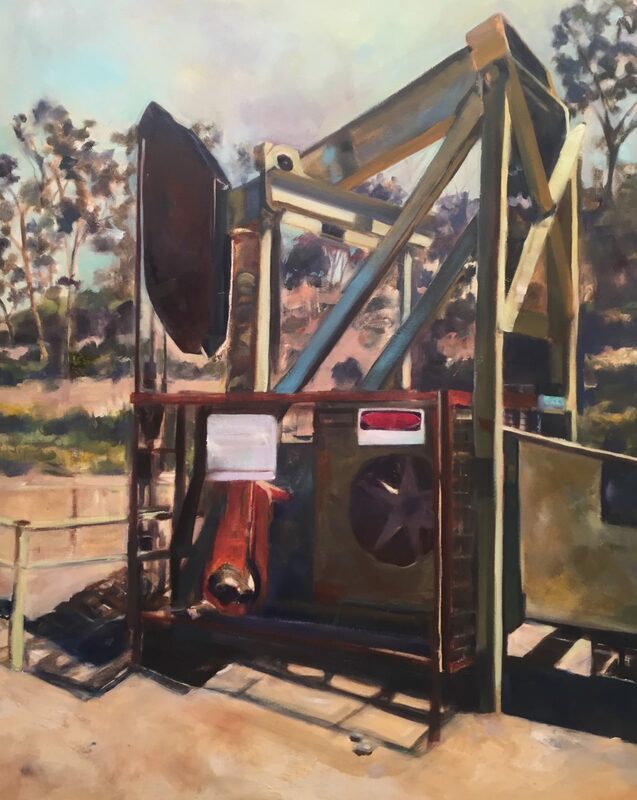 To prepare for it, she is working on 30 to 40 pieces for the Santa Paula Art Museum, which will showcase her work June 2020. For students interested in pursuing art as a career, Celia said there’s value in having a strong work ethic and keeping regular hours.For students interested in pursuing art as a career, Celia said there’s value in having a strong work ethic and keeping regular hours. 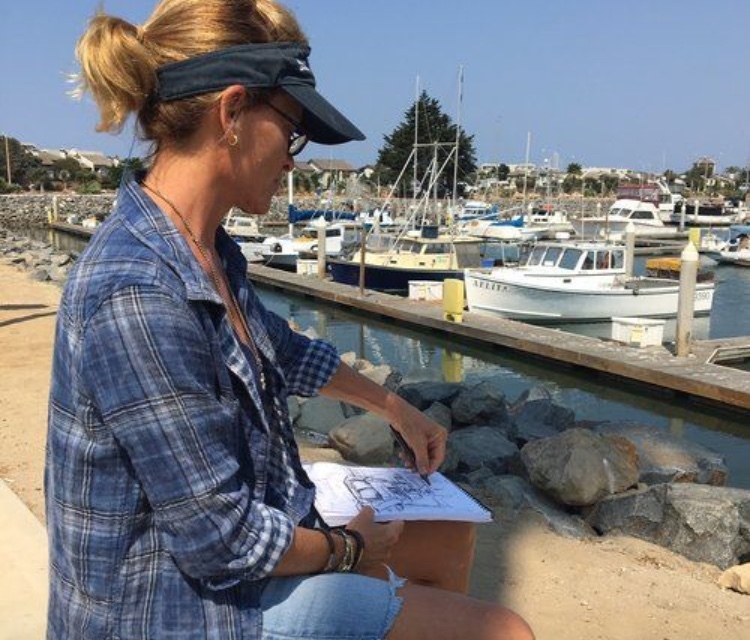 Celia sketches at Channel Islands Harbor. Photo courtesy of Shannon Celia.